The men and women at Vanners were kind enough to send me pictures recently of how my bespoke ties were made down in Suffolk. So here they are, with explanatory captions. The three-piece pattern for the tie is laid out on the woven silk, at exactly 45 degrees, having been made to my specifications in length and width. The resulting pieces are laid out in bunches, ready to be sewn. The two blades and the neck are also joined together. And a smaller, hand stitch is used to close the tip of the tie to prevent any pulling at that point. Any excess fabric is also trimmed. The tie is lightly pressed at the tips and seams. 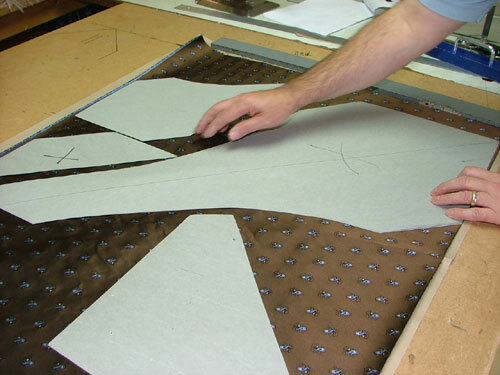 The lining is then inserted into the tie and the folds carefully placed over the centre line. While this is referred to as a seven-fold tie, there are in fact 10 – here you can see eight of them, with two more tucked underneath. When the folds are in place, the tie is pinned along its length to hold its shape prior to sewing. 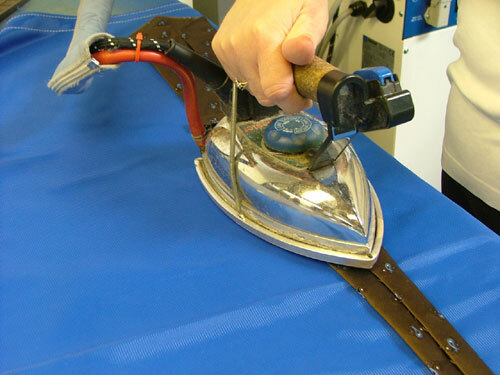 The self-loop (a loop to hold the rear blade that is the same material as the tie) is then inserted. 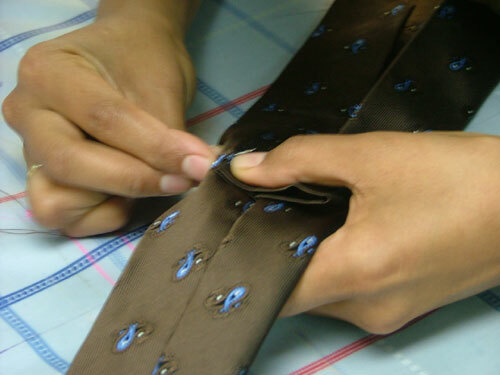 Before a single thread is used to sew the entire length of the tie. 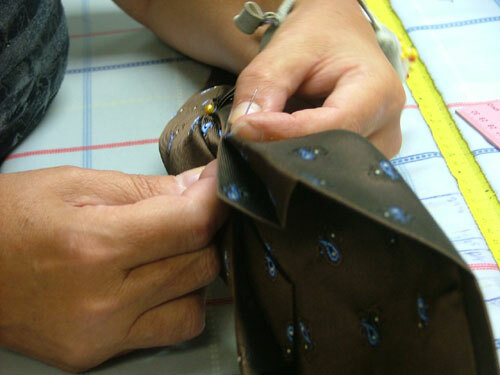 The tie is then gently steamed by hand and all its dimensions and measurements are checked. The self loop and any labels are sewn on by hand before the final inspection. Which is done by machine as well as eye, before the tie is packaged ready for delivery. You can follow the discussion on How my ties were made by entering your email address in the box below. You will then receive an email every time a new comment is added. These will also contain a link to a page where you can stop the alerts, and remove all of your related data from the site. Seems to me there has been a resent resurge in ties with paisleys- or is it just me? Simon can you recommend any shops in London or Paris which has a broad collection of scarves? I am looking for one with paisleys. Thanks in advance, and while I just found your column, I’ll be sure to visit often in the future – great blog. The topcoat shown is from Cesare Attolini I think. But beyond that I can’t tell you any more about its materials or provenance. I would advise against, however, a DB coat with velvet collar as this was not the style it was intended for. It’s obviously a case of personal taste, but it would be rather a mix of styles. But I agree with you that with the brown it may not look right. You’re right, that does look good. It is my impression that a traditional covert coat was a lightweight topcoat with a fly front and extra rows of stitching to prevent fraying. The photo looks more like an overcoat than a topcoat in length and weight. But I confess I don’t know how common a DB overcoat with velvet collar is or was.